If you're interested in marketing our Pineapple's on your website you may do so by clicking here. Share Hawaiian heritage and culture with family and friends by giving a taste of Hawai'i from HAWAIIAN JOE. HAWAIIAN JOE's selected fruits are grown in rich volcanic soil with warm tropical rainfall, and sealed with a kiss of Hawaiian sunshine for the best Hawai'i has to offer. Our pineapples are grown on the island and we will ship it to you freshly harvested, juicy and delicious which is the premier food product sold in our online store. HAWAIIAN JOE's Healthy Foods and Recipes section on www.HawaiianJoeFood.com provides valuable information on the nutritional content of HAWAIIN JOE products, helpful tips for their selection and storage, and healthy, mouthwatering recipes - as well as nutritional information. Pineapple contains a proteolytic enzyme bromelain, which digests food by breaking down protein. As a result, pineapple nectar can be used as a marinade and tenderizer for meat. The enzymes in pineapples can interfere with the preparation of some foods, such as jelly or other gelatin-based desserts. These enzymes can be hazardous to someone suffering from certain protein deficiencies or disorders, such as Ehlers-Danlos syndrome. There is significant evidence pointing to the anti-inflammatory benefits of bromelain and as a result is cited as being a good source for Arthritis. Pineapple is a good source of manganese (91 % Daily Value in a 1 cup serving), as well as containing significant amounts of Vitamin C (94 % Daily Value in a 1 cup serving) and Vitamin B1 (8 % Daily Value in a 1 cup serving). The pineapple spread from its original area (central South America) through cultivation, and by the time of Christopher Columbus (1492) it grew throughout South and Central America, southern Mexico and the Caribbean (West Indies). Columbus may have taken a sample back to Europe. The Spanish introduced it into the Philippines, Hawai'i (introduced in the early 19th century, first commercial plantation 1886) and Guam. The fruit was successfully cultivated in European hothouses, and pineapple pits, beginning in 1720. Commonly grown cultivars include 'Red Spanish', 'Hilo', 'Smooth Cayenne', 'St. Michael', 'Kona Sugarloaf', 'Natal Queen', and 'Pernambuco'. Pineapple cultivation by US companies began in the early 1900s on Hawaii. Dole and Del Monte began growing pineapple on the island of O'ahu in 1901 and 1917, respectively. 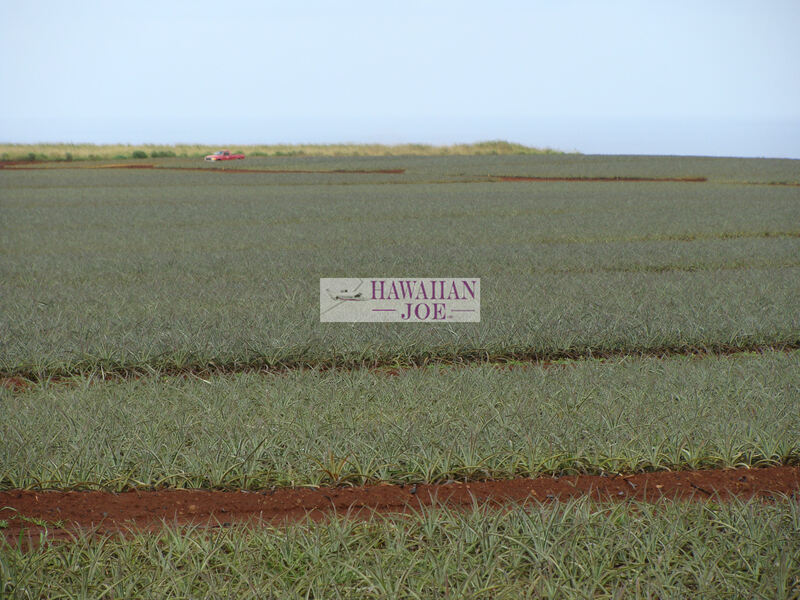 Maui Pineapple Company began pineapple cultivation on the island of Maui in 1909. In 2006, Del Monte announced its withdrawal from pineapple cultivation in Hawaii, leaving only Dole and Maui Pineapple Company in Hawaii as the USA’s largest growers of pineapples. 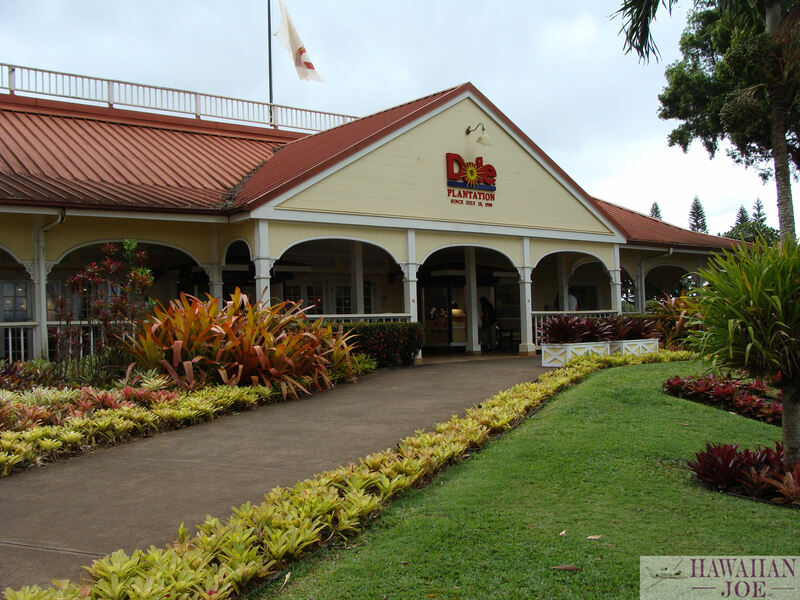 Maui Pineapple Company markets its Maui Gold® brand of pineapple and Dole markets its Hawaii Gold® brand of pineapple. In the USA in 1986, the Pineapple Research Institute was dissolved and its assets were divided between Del Monte and Maui Land and Pineapple. Del Monte took 73-114, which it dubbed MD-2, to its plantations in Costa Rica, found it to be well-suited to growing there, and launched it publicly in 1996. (Del Monte also began marketing 73-50, dubbed CO-2, as Del Monte Gold). In 1997, Del Monte began marketing its Gold Extra Sweet pineapple, known internally as MD-2. MD-2 is a hybrid that originated in the breeding program of the now-defunct Pineapple Research Institute in Hawaii, which conducted research on behalf of Del Monte, Maui Land & Pineapple Company, and Dole. Southeast Asia dominates world production: in 2001 Thailand produced 1.979 million tons, the Philippines 1.618 million tons while in the Americas, Brazil 1.43 million tons. Total world production in 2001 was 14.220 million tons. The primary exporters of fresh pineapples in 2001 were Costa Rica, 322,000 tons; Côte d'Ivoire, 188,000 tons; and the Philippines, 135,000 tons. In commercial farming, flowering can be artificially induced and the early harvesting of the main fruit can encourage the development of a second crop of smaller fruits. Pineapples are believed to be an eating cure for Arthritis. Scientists have long known that some foods reduce inflammation. Others will make it worse. Bromelain (a complex mixture of substances found in the core of a pineapple) can be extracted from the stem and core fruit of the pineapple. Studies have shown that Bromelain has a wide variety of health benefits, and that many of these benefits may not be related to the different enzymes found in this extract. Excessive inflammation, excessive coagulation of the blood, and certain types of tumor growth may all be reduced by therapeutic doses of bromelain when taken as a dietary supplement. 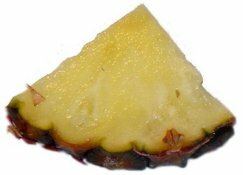 Bromelain extracts can be obtained from both the fruit core and stems of pineapple. Potentially important chemical differences appear to exist between extracts obtained from the stem versus the core fruit. Healthcare practitioners have reported improved digestion in their patients with an increase in pineapple consumption as a "fruit of choice" with their meal plan. Vitamin C is the body's primary water-soluble antioxidant, defending all watery areas of the body against free radicals that attack and damage normal cells. Free radicals have been shown to promote the artery plaque build-up of atherosclerosis and diabetic heart disease, cause the airway spasm that leads to asthma attacks, damage the cells of the colon so they become colon cancer cells, and contribute to the joint pain and disability seen in osteoarthritis and rheumatoid arthritis. This would explain why diets rich in vitamin C have been shown to be useful for preventing or reducing the severity of all of these conditions. Recent reports also suggest that Alzheimer's Disease may be linked to a form of Diabetes of the brain. Vitamin C is vital for the proper function of the immune system, making it a nutrient to turn to for the prevention of recurrent infections and colds. It is also reported that Vitamin C will strength Arterial walls. Manganese And Thiamin (Vitamin B1): Need Energy? Pineapple's are an excellent source of the trace mineral manganese, which is an essential cofactor in a number of enzymes important in energy production and antioxidant defenses. For example, the key oxidative enzyme superoxide dismutase, which disarms free radicals produced within the mitochondria (the energy production factories within our cells), requires manganese. Just one cup of fresh pineapple supplies 128.0% of the DV for this very important trace mineral. In addition to manganese, pineapple is a good source of thiamin, a B vitamin that acts as a cofactor in enzymatic reactions central to energy production. Your mother may have told you carrots would keep your eyes bright as a child, but as an adult, it looks like fruit is even more important for keeping your sight. While Vitamin A is still important, data reported in a study published in the Archives of Ophthalmology indicates that eating 3 or more servings of fruit per day may lower your risk of age-related macular degeneration (ARMD), the primary cause of vision loss in older adults, by 36%, compared to persons who consume less than 1.5 servings of fruit daily. In the study, it was shown that fruit intake was definitely protective against the severe form of vision-destroying disease. Three servings of fruit may sound like a lot to eat each day, but pineapple can help you reach this goal. Add fresh pineapple to your morning smoothie, lunch time yogurt, any fruit and most vegetable salads. But, before you go, here's a great tip to make your pineapples taste even better. Simply sprinkle some Li Hing powder on your pineapples to give them that authentic Hawaiian twist. In addition to the Hawaiian Pineapple, Li Hing powder is also sprinkled on other fruits such as the Hawaiian papaya and sliced apples. The Li Hing Mui powder comes from the Li Hing mui seed (dried plums) and has both a sweet and sour taste with hint of salty flavor. Li Hing is also a favorite to sprinkle on your popcorn along with Arare crackers. Unfortunately, unless you live in a major city or in Hawaii, Li Hing powder can be extremely difficult to find. Fortunately, because I'm located in Hawaii, I just so happen to have Li Hing Powder available. To order click this link: Li Hing Powder. Start Enjoying The World's Greatest Tasting Pineapple's Now! Their Nutrients Could Increase Your Overall Life Efficiency With Healthier Years To Enjoy! The Bad Is The Calories That Comes From The Sugars Because They Taste So Darn Good! 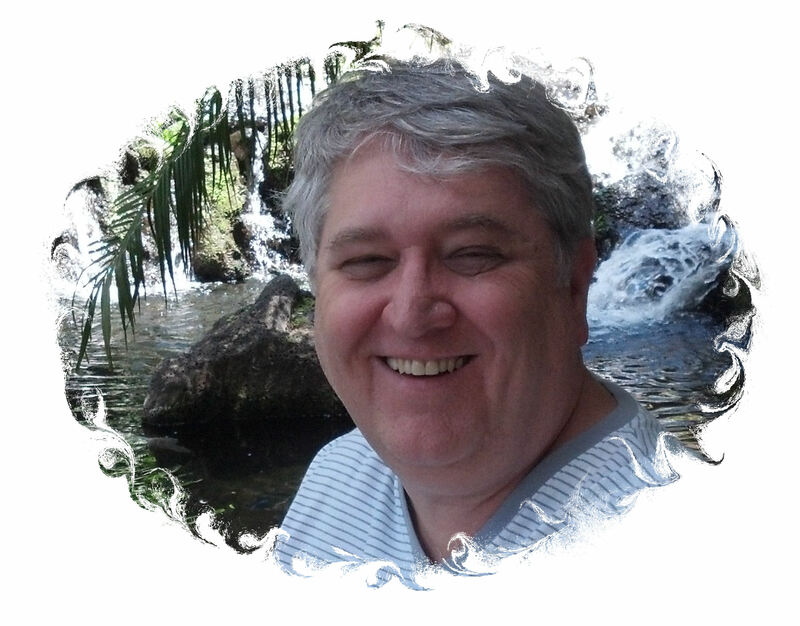 Send mail to Hawaiian Joe Food Company with questions or comments about this web site.